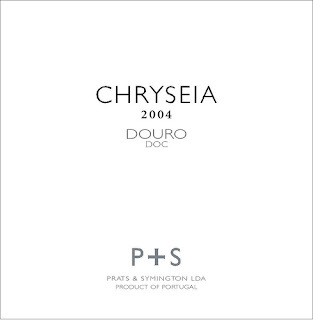 One of Portugal’s most famous dry reds, Chryseia is the result of a dream partnership between Charles Symington (if you’ve had Warre’s, Dow’s, or Graham’s Port, you’ve had his family’s wines) and Bruno Prats (of Chateau Cos d’Estournel fame). In fact, in the fewer than 10 years since the first vintage, Chryseia has become one of Portugal’s most sought-after dry red wines. There is a fantastic overview of the grape-selection and winemaking on the Chryseia web site, but the short version is this: The wine is the result of Bordeaux-style winemaking techniques being brought to bear on the traditional grape varieties of the Douro Valley. I recently had the chance to taste the 2004, and though it’s young, it nonetheless still offers plenty of modern-style pleasure, marked as it is by grilled meat, rich plums, well-integrated new oak, and dark, dark cherries. Like you’d expect from the dream team of Symington and Prats, all the pieces are in their appropriate place in this wine, and the result is abundantly enjoyable. First Day in Bordeaux...And a First Growth!